On Thursday, Michelle Alexander, author of the bestselling and galvanizing The New Jim Crow: Mass Incarceration in the Age of Colorblindness sat down with poet/activist Asha Bandele of the Drug Policy Alliance to discuss the book’s impact and where we go from here. The New Jim Crow has been a phenomenon. Spending nearly 80 weeks on The New York Times bestseller list, it brought to the forefront a national conversation about why the United States had become the world’s largest incarcerator, with 2.2 million in prison or jail and 7.7 million under control of the criminal justice system, and African American boys and men — and now women — making up a disproportionate number of those imprisoned. Alexander identified failed drug war policies as the primary driver of those numbers, and called for a greater challenge to them by key civil rights leaders. It’s now been nearly four years since The New Jim Crow first appeared. Some things have changed — federal sentencing reforms, marijuana legalization in two states — but many others haven’t. Alexander and Bandele discuss what has changed, what hasn’t, and what needs to, raising serious questions about the path we’ve been down and providing suggestions about new directions. 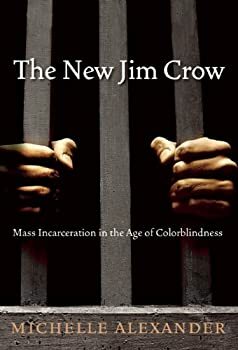 Read more via “The New Jim Crow” Author Michelle Alexander Talks Race and Drug War [FEATURE] | StoptheDrugWar.org.